There's plenty more fish in the sea! 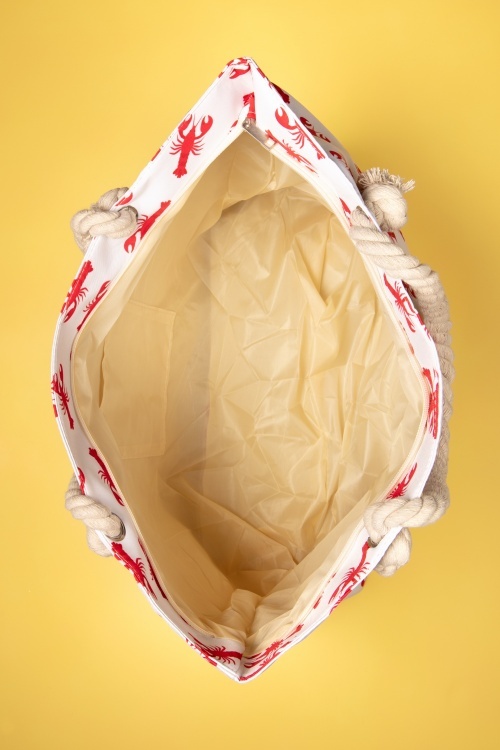 But it won't be easy to find a bag as cute as this 50s Lobster Beach Bag in White! 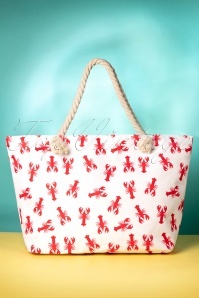 A day at the beach will be even more fun if you're carrying this large beach bag. 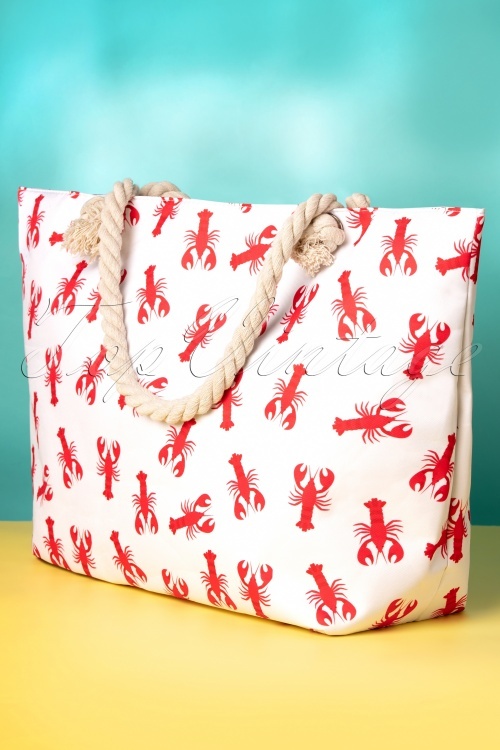 It fits all of your beach essentials while the zip closure will help you keep the sand at the beach instead of in your bag ;-) Made of a sturdy white of fabric with handles made of twisted rope and an all-over print of red lobsters. 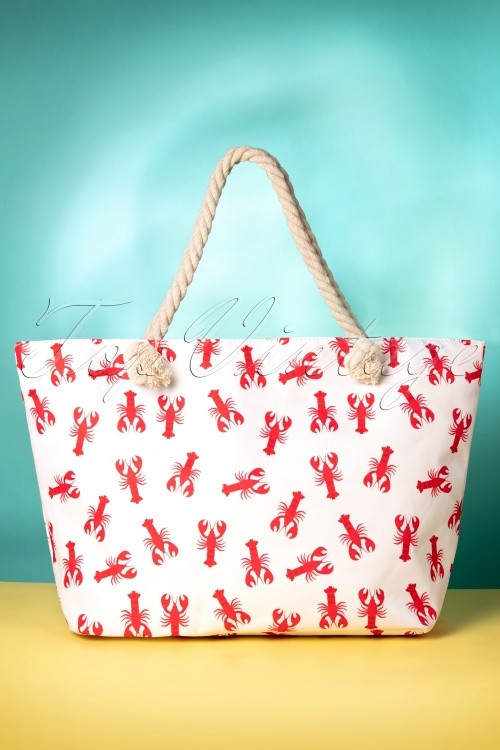 The (lob)star among the beach bags!